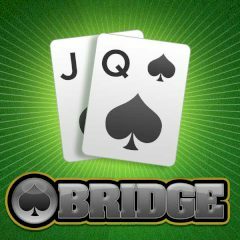 Do you play Bridge with your friends on Fridays Can't lose all the time and have no fun Play it now and learn the basics with us. Got confused by the rules of the game Have no satisfaction playing Bridge No need to worry as you can easily learn the basics, rules and tricks by playing in now. Be ready to win next time you meet with your friends. It's time for some Bridge practice. Sit down and get your cards!